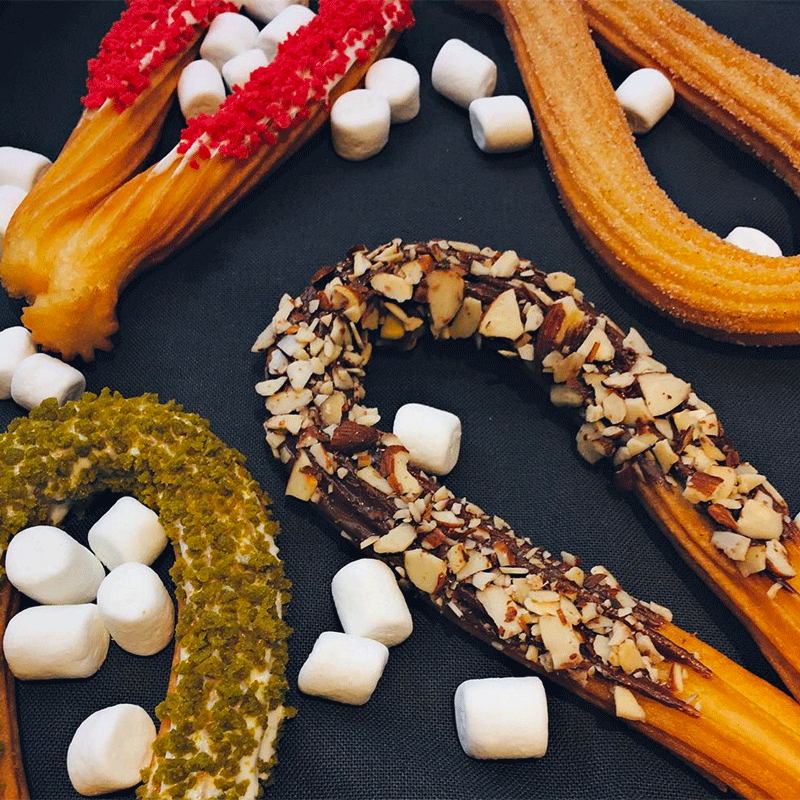 We are serving 4 pieces of 5-6 inch long look shape churros and each one is different flavor. – Regular cinnamon sugar, matcha crunch over white chocolate coating, strawberry crunch over white chocolate coating and sliced almond over dark chocolate coating. You can try all of our best selling flavor churro in good price.